Write On, Door County will bring U.S. 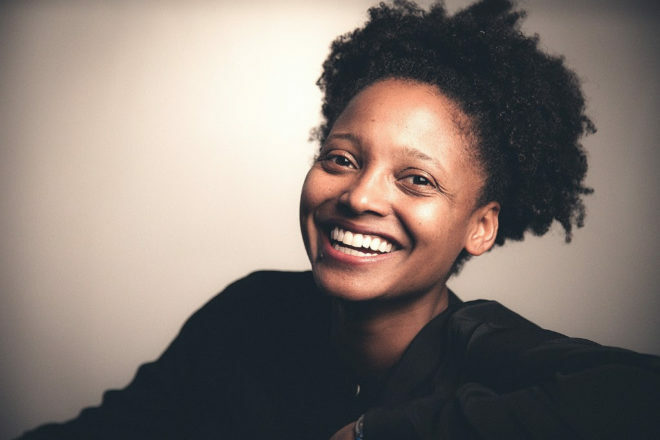 Poet Laureate Tracy K. Smith to Door County for a program with local students and a public reading on Oct. 11 at the Southern Door Community Auditorium. The ten living Wisconsin and Door County Poets Laureate have each announced they will attend the reading. Smith was appointed to a second term as the nation’s Poet Laureate Consultant in Poetry. During her first term, Smith gave readings and led discussions for a pilot project in rural communities in New Mexico, South Carolina and Kentucky. Her new term allows long-term planning for an expanded rural outreach project. “Poetry invites us to listen to other voices, to make space for other perspectives, and to care about the lives of others who may not look, sound or think like ourselves,” Smith said. Smith is the author of four books of poetry, including Wade in the Water. Her collection Life On Mars was awarded the 2012 Pulitzer Prize for Poetry. Previous collections included Duende, winner of the 2008 Essence Literary Award, and The Body’s Question, winner of the Cave Canem Poetry Prize. Her memoir, Ordinary Light, was a finalist for the 2015 National Book Award. “We are thrilled to have a poet of Smith’s worldwide reputation visit our county, spend time talking with students in our schools, and engage our community in the power of poetry to bring us together and remind us of what we hold in common,” said Write On Executive Director Jerod Santek. The reading is free, although a goodwill donation is requested. For more information visit writeondoorcounty.org.